Spring is here in Birmingham, AL! We all love the warmer weather, fresh cut lawns, and spring flowers but we all know, spring in the South brings a lot of rain! Springtime can be challenging to our homes, businesses, and landscaping. Many times the rain can bring backed up sewage, holes in our roofs that lead to water damage and flooding the basements. SERVPRO of Birmingham thought it would be important to share some safety tips with you regarding heavy rains and flooding so you can keep the water mitigation to a minimum this season. Check your Roof-Look for current damage and areas that look vulnerable to leaks. Repair these as soon as possible. If need be, call a roofer to perform the inspection and the repairs. Trim Foliage-Plants and trees with overgrown branches can pose a danger to your household in harsh winds and rain. Waterproof Windows-Check the edges of your window sills to see if they need a waterproof sealer or rubber on the edges. Clear out Gutters-It is important that these are clear in case of heavy rain to prevent any possible flooding. You should check your gutters a couple of times throughout the year as the wind tends to carry leaves and debris into the gutters blocking the water from flowing freely. Why is Board Up Important? If your property in Birmingham, AL has experienced a fire, there are several reasons why you might want to board up structural damage or windows. In addition to keeping the external elements out of a building with fire damage, boarding up can also prevent additional losses due to looting and make the fire cleanup process easier. SERVPRO of Birmingham offers full-service restoration specialists who can also assist in board-up services. Here are four reasons to board-up after a fire. In a commercial setting, there may still be viable stock on the premises. If products that appear viable remain in the building, you should consider boarding up. 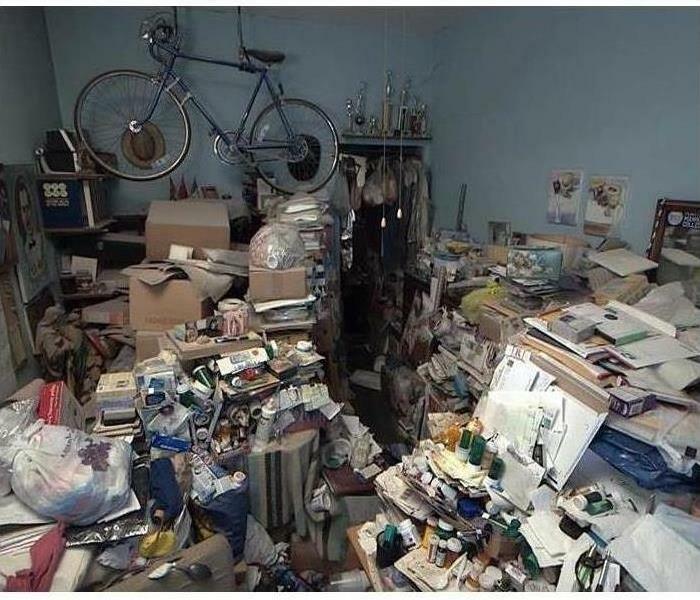 These items may require assessment and cleaning and may not be fit for sale, but having them properly processed rather than stolen can be helpful for insurance purposes. You want to protect electronics and other valuables. Depending on the extent of the fire damage, you may be able to restore some electronics or other valuable property to working condition. You need to keep out the elements. If the structure of your property has sustained extensive damage, you should try to keep the elements out to prevent additional damage. 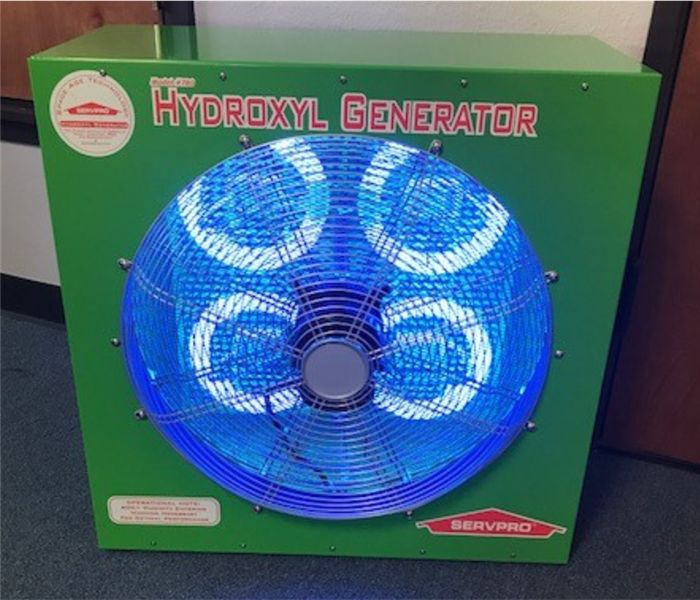 Exposure to additional water, wind, or sunlight can compound the damage caused by smoke residue and soot. You want to limit soot damage. It is generally a good idea to reduce foot traffic on the scene of a recent fire. When soot gets embedded into carpeting or upholstery, it can be much more difficult to restore these materials to a pre-fire condition. Talk to our experts at SERVPRO of Birmingham, about whether boarding up is a good strategy for preventing loss and limiting damage after a fire. Your major concern is likely to be how to recover from fire damage as quickly and completely as possible. Preventing looting and exposure to the elements can make fire cleanup more successful. Call us Birmingham at (205) 664-6770. Why is Our Basement Flooding? 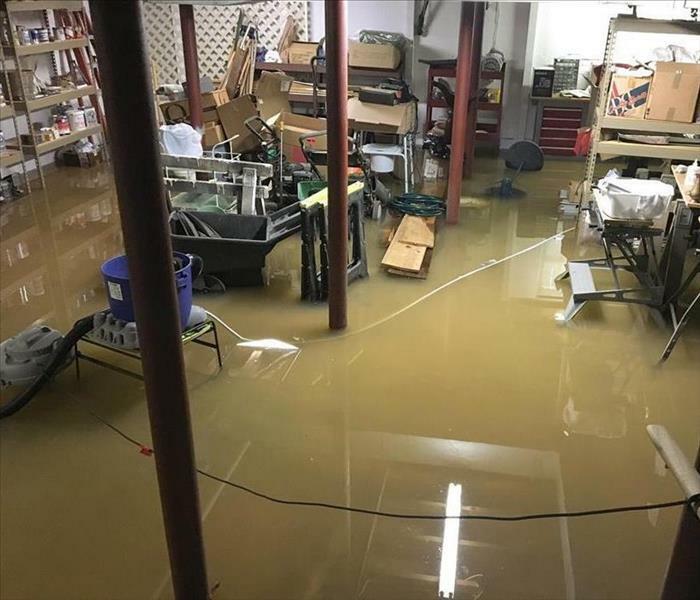 This home is Pelham, AL experienced flooding issues in their basement and is an example of what could happen if the right steps are not taken. 1. Location and Climate Factors A primary cause of excess water is above-average rainfall. Choosing to reside in a coastal area, for example, can increase the risk of a basement flood. Even in dryer climates, laying your home’s foundation on a low-lying or sloped part of the property can cause water to pool under walls and seep through the outer layers of the building. 2. Basement Drainage Should your home sit near or on the water table, a basement drainage system and sump pump will likely be necessary to prevent excess dampness in the flooring. If the pump system breaks down due to electrical or plumbing problems, contact a qualified professional who can perform wiring or pipe repair. A powered mechanism for removing water from the basement after flooding is the most robust method for the prevention of property damage. 3. Sources of Leakage Sometimes the biggest issues facing the homeowner lie in the ingress of water. Cracked walls or insufficient sealants and waterproof coatings can allow water that would otherwise drain away to enter the basement. Improperly positioned or damaged gutters and downspouts can divert water toward the house rather than into the yard. Gutters can also become clogged with leaves or other material, causing them to overflow. Gaps in roofing tiles or shingles can also cause undesirable water redirection, especially in periods of extreme rain or snowmelt. Controlling the water volume before it reaches the basement is often the best preventative measure. Following the above checklist of troubleshooting tips will usually stop the problem before it begins. Should you experience unavoidable flooding and require basement cleanup and decontamination, contact SERVPRO of Birmingham where we specialize in that process to avoid potential health hazards. During this time of year in Birmingham, AL we can experience a lot of rain, which can lead to thunderstorms. It’s important to be prepared and have a plan in place. Talk with your family and create an emergency plan for thunderstorms, floods, and tornadoes. Think about an emergency shelter and evacuation plan. Below we have a few suggestions to make sure you and your family are ready for whatever happens. Fire damage is probably the last thing on your mind, but you may want to move it up on your list of priorities; preparation is the key. The first 48 hours after a fire often makes the difference between ‘restoring’ vs. ‘replacing’ your property and personal belongings. 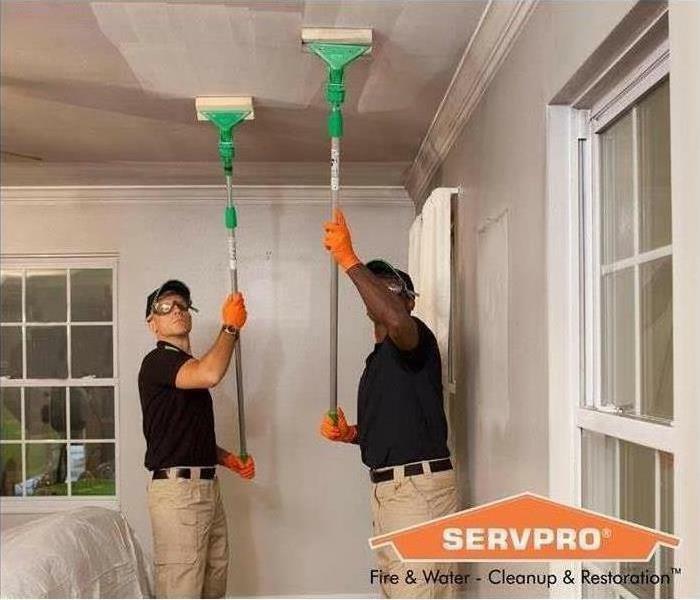 SERVPRO of Birmingham provides a timely response with mitigation services ranging from fire, smoke and soot removal, to content claims inventory and document restoration. Within one hour from notice of loss, a SERVPRO of Birmingham professional will contact you to arrange for service. Within four hours of loss notification, a SERVPRO of Birmingham technician will be onsite to start mitigation services. A trained and uniformed SERVPRO of Birmingham employee will walk you through the job process step-by-step, explaining what to expect and the anticipated outcome. 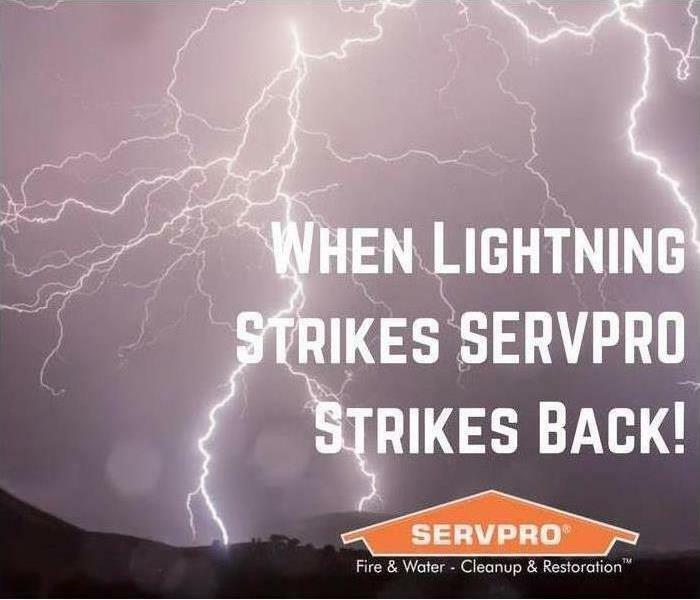 A SERVPRO of Birmingham employee will begin pretesting for restoration, working from the source of the damage outward. 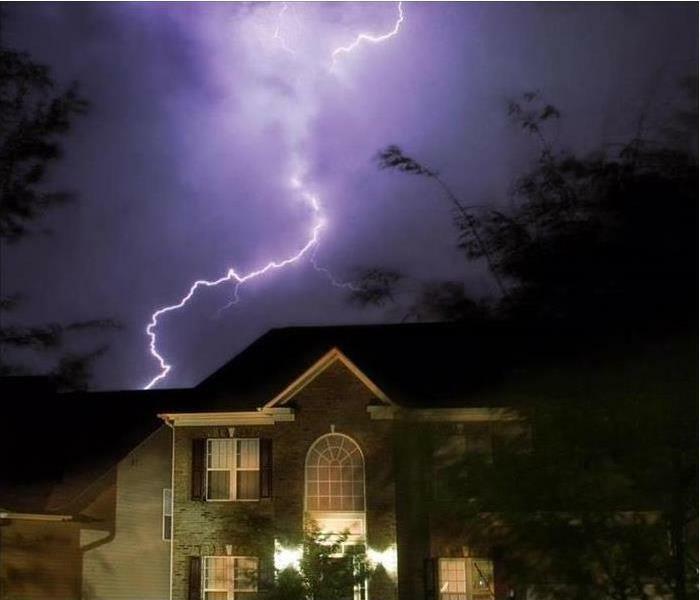 Home Lightning Strikes happen roughly twice a year! How can SERVPRO of Birmingham Help? What are those Noisy Water Pipes Saying? As a large amount of water is forced through fixture openings designed to handle a lower flow, it makes a whistling sound, just like forcing a large amount of air through pursed lips causes a whistling sound. When water suddenly stops flowing through pipes, the momentum causes it to slam around inside the pipe, which causes a clanging or banging sound. Your plumbing has built-in air chambers to prevent this from happening, but when water pressure is higher than normal, the chambers aren’t enough to prevent the hammering sound. The longer you wait to address high water pressure in your home, the more likely it is to cause a pipe break. 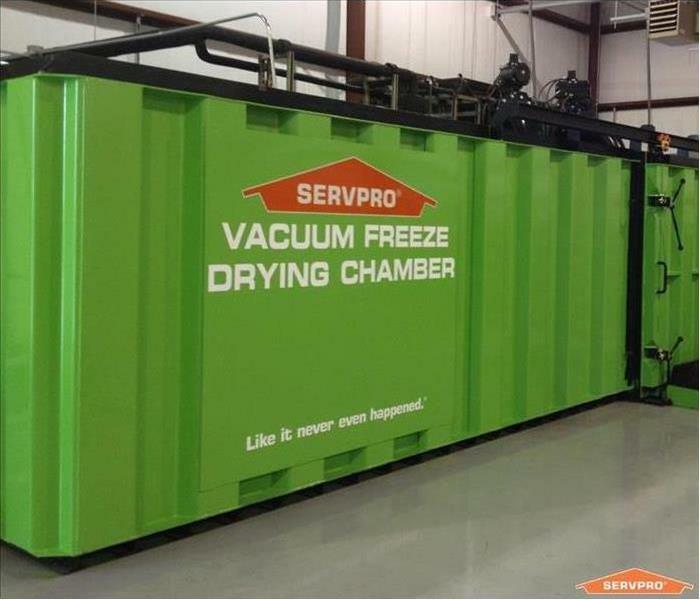 The SERVPRO document restoration facility uses the latest vacuum free-drying method in addition to gamma irradiation technology for sterilizing. The facility is under 24-hour surveillance and is managed by HIPAA Master-certified technicians to ensure proper safety and privacy of your documents. The SERVPRO document restoration team has the capacity to handle large scale commercial losses and smaller residential jobs. Yes, there are! In addition to drying your documents, SERVPRO also offers cleaning/disinfecting, re-jacketing, digitizing, and deodorization. No matter your document restoration needs, SERVPRO of Birmingham is "Here to Help"! 3/22/2019 - Why is Board Up Important? 3/20/2019 - Why is Our Basement Flooding? 3/13/2019 - Are You Prepared for a Thunderstom? 3/11/2019 - What are those Noisy Water Pipes Saying?